After being cast out for more than a decade, athletes with a learning disability made their return to the Paralympic Games at London 2012. But what made that possible and what does the future hold? At 1pm on Thursday 30 August, a small plastic ball was served across a table tennis net in east London’s ExCeL centre. It was an historic moment in learning disability sport – the first time that a sportsperson with a learning disability had taken part in a Paralympic Games event since Sydney 2000. Shortly after those Australian Games ended, the International Paralympic Committee (IPC) imposed a blanket ban on athletes with a learning disability taking part in the Paralympic Games or IPC-sanctioned events. Spanish journalist Carlos Ribagorda revealed that he and nine other members of the Spanish basketball team had pretended to have a learning disability. With only minimal checks, they led their team to victory and a gold medal. The scandal embarrassed the IPC and left people with a learning disability excluded from the Olympic movement. In the 12 years since the ban, athletes with a learning disability – or an intellectual disability (ID) in international sporting terms – have missed both the Athens and Beijing Games. In Britain and many other countries, it also meant that other elite-level competition opportunities were lost, along with funding streams. In 2007, the IPC established a joint working group with Inas (the international organisation representing ID athletes) to develop classification criteria that would allow reinclusion and avoid another cheating scandal. In Britain, organisations, including Mencap Sport, stepped in to provide domestic and international competition opportunities for athletes throughout the ban. Meanwhile, the UK Sports Association for People with Learning Disability (UKSA) took on the responsibilities for the classification of elite-level athletes and supported them along the Inas pathway – effectively keeping them at the required level of performance for the Paralympic Games. At the 2009 IPC assembly in Kuala Lumpur, the ban was finally lifted. IPC president Sir Philip Craven described the decision as “the outcome of a unique and excellent cooperation between sports governance and the scientific community”. 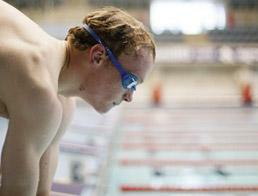 With the Paralympic Games just weeks away, athletes are in their final stages of training. Between 29 August and 9 September, athletes with a learning disability will make a welcome return to the Games, taking part in three sports: swimming (200m freestyle, 100m breaststroke, 100m backstroke), table tennis (singles) and athletics (long jump, shot put and 1500m). In the Paralympic GB team, 10 athletes with a learning disability will compete at the Games (there is one in the Irish team). The total number of international athletes with a learning disability is yet to be finalised, but is expected to be fewer than 200 – they are far from being the largest disability group at London 2012. However, that doesn’t take away from their right to be there – all the athletes are dedicated professionals and have been selected for their medal-winning potential. 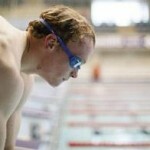 For the Rio 2016 Paralympics, there is talk of including the 400m sprint event for athletes with a learning disability. For further sports to be added, 2020 is more likely, since the bidding cycle works six years in advance – rowing and, perhaps controversially, basketball have put in bids. Nordic skiing is planned for 2018 – the first Winter Paralympics to feature athletes with a learning disability. Key to the reinclusion of athletes with a learning disability was the development of a robust classification system that the IPC would accept. In 2000, the classification system hinged on proving an athlete’s learning disability. “Today, you have to prove that you’re intellectually impaired and that the impairment impacts on the activity that you want to participate in,” says Peter van Der Vliet, IPC medical and scientific director. Peter, who led the team that has developed the new classification system, says that the challenge lay in demonstrating the aspects of a person’s learning disability that prevent them from performing an activity on an equal level to someone without a learning disability. “Having the intellectual impairment does not constitute the grounds for inclusion in itself,” he says. Peter explains that a table tennis player may not anticipate the spin or pace of a ball in the same way that a non-disabled player would. “It’s that kind of mental reasoning – what to do at which moment in time – that athletes with intellectual disabilities fail to do,” he says. After more than a decade away from Paralympic competitions, and even suggestions that the Spanish basketball scandal could be replicated, will the global television audience accept Paralympic athletes who have no instantly- identifiable disability? “It no doubt requires a little insight from the audience,” concedes Peter.